While exotic bird watching is a fun hobby, there is something to be said for the little songbirds that fill your yard with music. In rain or shine, these outgoing little birds brighten up your day with their music and antics. House wrens and finches are two of the unsung heroes of the backyard (although they are sure to grace you with their musical talents). 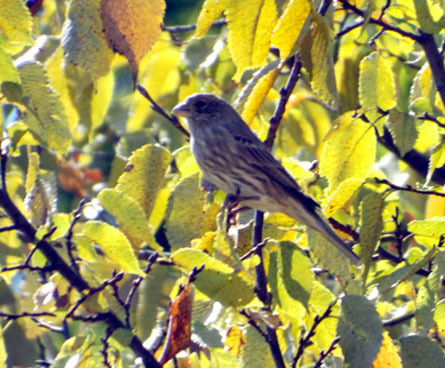 Both birds can be found in most parts of the United States. These small, active birds are often two of the most vocal birds in your yard, but they have very different styles. With a fabulous voice and a little bit of an attitude, wrens are a distinctive addition to your backyard oasis. These fast-moving birds are comfortable around people. While they generally avoid bird feeders, you can tempt them with a birdbath. Like all birds, they need water for drinking and bathing. House wrens are not big seed eaters. They will occasionally eat suet, black oil sunflower seeds or nuts during the winter — but they prefer to eat bugs and insects. 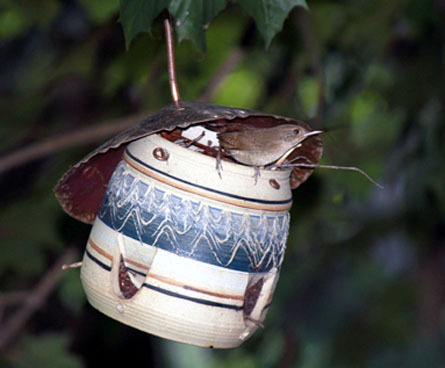 The house wren is an aggressive insect hunter. Unfortunately house wrens can also be aggressive nest-stealers, and will often move into the nests of other birds. Wrens will nest in almost any small nest cavity that is adjacent to trees, and can fit into openings as small as one inch. One way to help your backyard birds is to put up a group of nest boxes, so the wrens have somewhere to call home. Wrens are very flexible about their nesting locations, and may nest in unwelcome places like barbeque grills. 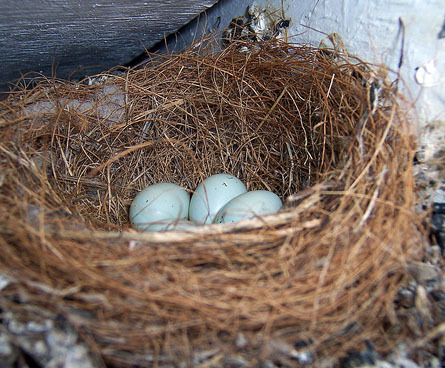 If that's happened to you, learn more about what you can do about unwanted bird nests. 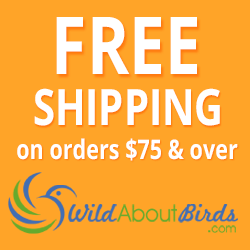 Many bird lovers are surprised to find wrens nesting in their bird feeders. It makes sense: the only thing better than a great nesting location is one that comes with a bunch of food in it! Because house wrens are so comfortable around people, it's possible they will nest very close to your home (or even on your front porch). That makes it possible to get a great view of the baby birds as they grow up. While wrens will sometimes use a nest again, after the first brood you might want to take a look at the nest site and make sure there aren't un-hatched eggs or mites. If so, you'll need to clean out the bird house before another family moves in. With just a little encouragement, you'll be able to enjoy the presence (and music) of wrens from spring to fall. In the southern United States (where the wrens tend to migrate in winter), you can enjoy these active birds year-round! House finches are another common backyard bird with a great voice (and a willingness to use it). These birds have a beautiful song that seems to go on forever. Male finches are also graced with red across the face and upper chest, while females are less colorful with a simple brown-streaked appearance. House finches are real seed eaters, and they can often overtake a bird feeder. It's quite a sight to see! 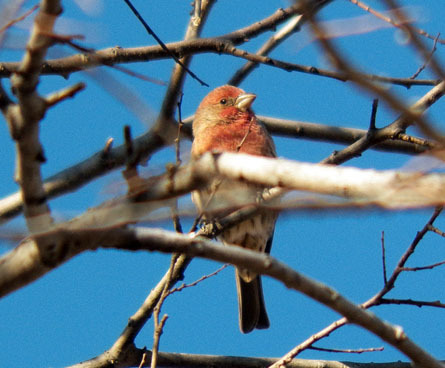 Social birds, house finches are usually found in large groups (except during breeding season). They are perfectly happy eating next to goldfinches or similar-looking purple finches (which can make identification challenging at times). House finches, as well as gold finches and purple finches, prefer black oil sunflower seeds and thistle. 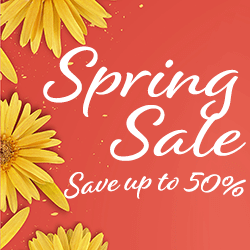 Since these bird seeds are not your least expensive bird food option, most finch lovers invest in special finch feeders that minimize wasted seed. 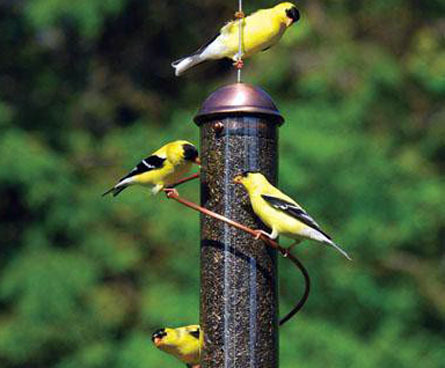 These feeders also make it harder for large birds to eat up all of the seeds. 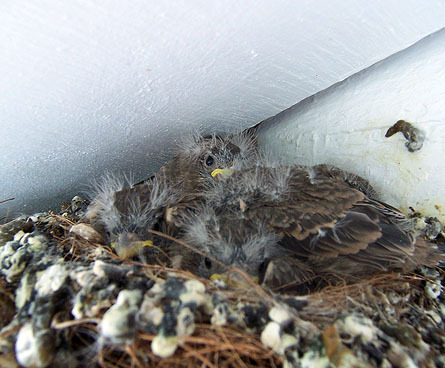 House finches will sometimes nest nearby, and in cases where your house is available, you can get a first-hand view of the baby finches as they grow. 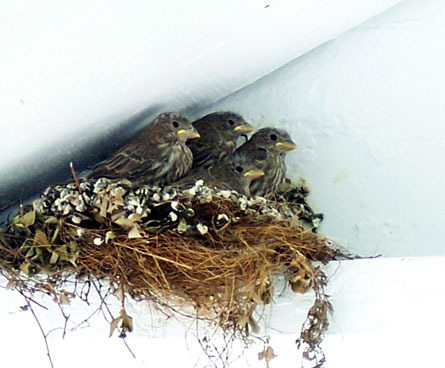 A finch family likes to have a roof over its head. 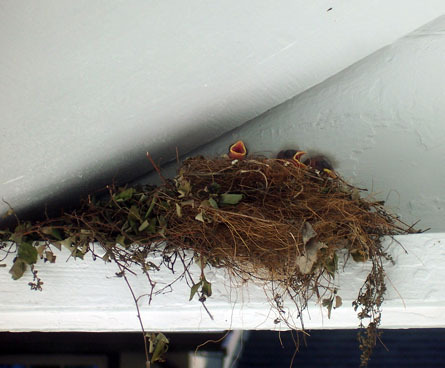 This family of finches built a nest under the eaves of a house, and it's fascinating to watch the baby birds grow! 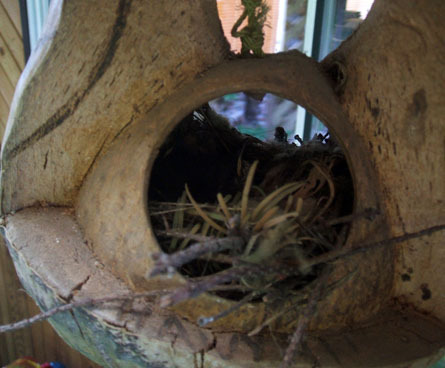 Unlike wrens or smaller finches that will fit into tiny spaces, house finches need a nesting box or birdhouse with at least a two-inch opening. That's probably why house finches tend to look for natural spaces instead of birdhouses. If you want to encourage house finches to nest nearby, you can put up some hanging baskets or left-over Christmas wreathes (just make sure they are under eaves or somewhat protected). With their musical talent and active lifestyles, both house wrens and finches are a delight to have in your yard. 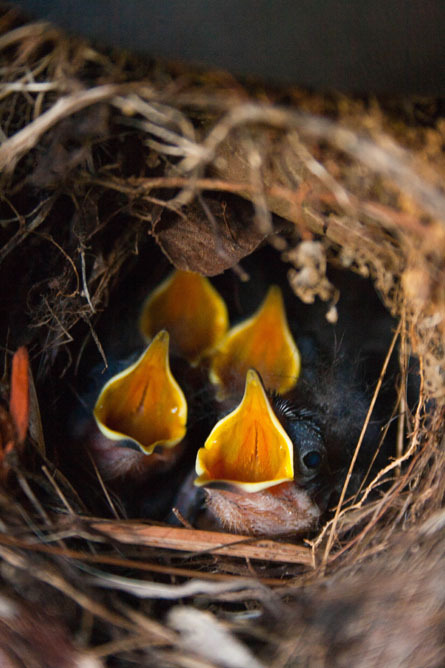 Photo Credit: Dusty J, BSC Photography, Male and female finches by Robert Nunnally, Finch family by yanajenn, cc. Wren in feeder by WildAboutBirds.com photographer Judy_NMMI.